Proceeds from the Florida International Air Show are distributed to area charities. To date the show has contributed over 2.3 million dollars. ICAS, the International Council of Air Shows, says that the trend for air shows across the country is higher attendance even though the economy is down. "Families are cutting costs, but they're still looking for quality entertainment," said John Cudahy, president of the International Council of Air Shows. "That's why air show attendance spikes in a bad economy. Ticket prices are low, but the entertainment value is high." Cudahy reported a 12 to 15 percent increase in air show attendance during 2008, which followed patterns witnessed during 1980-1982 and 1990-1991 recessions. (Dayton, OH – March 31, 2009) The National Aviation Hall of Fame has officially announced a nationwide "call for entries" for its Seventh Annual Combs Gates Award. The prestigious $20,000 cash honor is presented annually to an individual or group for a submitted project juried to be exemplary in advancing the promotion and preservation of America's air and space heritage. The 2009 award ceremony will take place, as it has each year, at the Opening General Session of the National Business Aviation Association (NBAA) Annual Meeting and Convention this October 20-22 in Orlando, Florida. Among projects eligible for the Combs Gates Award are books, film/video, public exhibits and artwork. In keeping with the NAHF's Congressionally chartered mission of honoring outstanding individual air and space pioneers, applicants are encouraged to submit a project with an emphasis on personal, human achievement. The deadline for submissions is May 25, 2009. A blue ribbon panel of five judges will independently review each project and applicants will be notified of the winner by September 1, 2009. Full details of the award criteria, eligibility and application guidelines are available by calling the NAHF at (937) 256-0944 x18 or by visiting www.nationalaviation.org. The Combs Award was originally named for its founder, NAHF enshrinee Harry Combs, and first presented at NBAA during the Centennial anniversary of powered flight in 2003. Combs died later the same year at age 90. In addition to being a pioneer of civil aviation, Combs was also a noted historian, author and philanthropist. Combs funded the initial three years of the award as part of an overall $1.3 million gift to the NAHF Learning & Research Center made prior to its opening in 2003. In 2006, the changed the award's name to the Combs Gates Award, to reflect the new, ongoing support of the Charles C. and June S. Gates Family through a Gates Frontiers Fund grant to continue the contest. Charles C. Gates, who passed away in 2005 at age 84, was a prominent business aviation partner of Combs and shared his passion for the preservation of America's air and space history. "Thanks to the vision of Harry Combs, and now with the aid of the Gates family, the projects this award encourages help the National Aviation Hall of Fame highlight the inspirational legacies of our great air and space pioneers for generations to come," said Ron Kaplan, Executive Director. "It's not surprising that several enshrinees participate annually in presenting the award, as much to salute Mr. Combs' and Mr. Gates' spirit of support as to honor the recipient." "Most committed historians toil with dedication and passion but without much tangible acknowledgement of their effort," explained Kaplan. "The Combs Gates Award, named for a pair of aviation legends in their own right, generously and prominently corrects that. It's the privilege of the National Aviation Hall of Fame to administer such a mission-relevant process and spotlight a well-deserving historian at NBAA each year." The National Aviation Hall of Fame was founded in Dayton, Ohio, in 1962 and chartered by the U.S. Congress in 1964 to honor America's outstanding air & space pioneers. In 2003 the NAHF opened its 17,000 square-foot public Learning Center featuring six galleries that chronicle the exciting history of flight with a focus on the people that made it happen. A variety of interactive displays highlight achievements of many of the 199 enshrinees honored thus far. The site is also home to the Harry B. Combs Research Center, dedicated to preserving tens of thousands of images and documents tracing the enshrinees' life stories. Project SkyReach is the NAHF's character-building education initiative, using enshrinees as compelling role models for youth. Located adjacent to the National Museum of the United States Air Force in Dayton, Ohio, public admission to the NAHF is free. A 501(c)(3) non-profit organization, the NAHF is supported primarily through memberships, grants and the contributions of individuals and corporations. 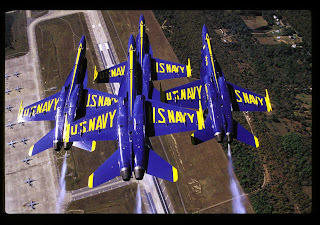 You can save time and money when you buy your tickets for the 2009 Cleveland National Air Show online now! You save on admission prices and get to the excitement faster. Click here to purchase your online advance tickets. Are you ready for some roaring, soaring, fun? Then make plans now to visit the 2009 Cleveland National Air Show presented by Discount Drug Mart. The Air Show is an affordable Labor Day Weekend family tradition close to home. Three days of aerial thrills featuring the U.S. Air Force Thunderbirds, aerobatics, parachuting, wingwalking, and more. And the action is not just in the sky. It includes a variety of interactive ground displays, kid-friendly activities, 50+ static planes and more. Fans can tour unique aircraft, help pack a parachute, get a picture with a pilot or just enjoy the day-long festival of flying, food and outdoor fun. To find out the latest Air Show happenings visit the What's New page of our website often, as new information and updates are posted regularly. their distinct red, white and blue F-16 Falcon jet fighters through a choreographed hour-long performance at speeds up to 500 mph and as close as three feet from each other. Trademark Thunderbird maneuvers include the six-plane delta formation, high bomb burst and solo knife-edge pass. The Thunderbirds are the U.S. Air Force "Ambassadors in Blue" and represent the United States at approximately thirty-five sites located both home and abroad each year. Click here for more information regarding Acts and Aircraft. The big news for 2009 is a daily demonstration by the U.S. Marine Corps AV-8B Harrier. This isn't a quick fly-by - it's a full display of the aircraft's abilities, including a 90-degree climbing turn, a high-speed pass and a vertical landing in front of the crowd. Plus, a second "Harrier" will be on static display so you can get up close and personal. Cleveland is one of only 14 show sites nationally to receive the coveted 2009 "Harrier" demo. The skies over Cleveland will be filled with performers appearing for the first time. Skip Stewart will impress air show fans with his high-energy, fast paced gyroscopic aerobatics in his custom built muscle biplane. While both young and old will delight in wingwalking and high-powered solo aerobatics by Kyle Franklin's Pirated Skies... ahoy me mateys! And fans will experience history with a dash of Hollywood when the B-17 "Memphis Belle" takes to the skies. This Flying Fortress was the star of the 1990 film appropriately titled Memphis Belle. If you purchased a Sponsor Box or Barnstormer Club Table in 2008 now is the time to renew your entertainment seating for 2009 and secure the best seat on the flight line. Don't wait; the courtesy renewal program ends April 3, 2009. Take advantage of this opportunity to keep the same great seats that you had last year or request different seats (accommodated on a space available basis). Whether you are relaxing with family, socializing with friends, or entertaining business guests, the Cleveland National Air Show is the perfect place to experience the electrifying excitement of flight. 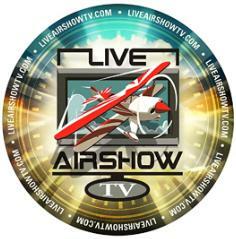 Click here for more information on Air Show Entertainment Seating. When he came home in 1945 after flying B-25 Mitchell bombers in the Pacific theater, he had nightmares for five years, he said. Just talking about how he doesn't like to talk about it made his voice quaver slightly on Monday. ..
And the final lot of goodness for you - a RAAF F-18 Hornet!!! So loud, I think my ears bled! Tuscaloosa, Alabama – The Disabled American Veterans will once again take to the skies to advance its message of service to disabled veterans. Now, in its seventh season, the DAV Airshow Outreach Program featuring the B-25 Mitchell Bomber of World War II notoriety appears nationwide at over 25 airshows and reaches over 2.7 million airshow spectators annually in an effort to promote the DAV’s mission of building better lives for America’s disabled veterans. The DAV is proud to announce The DAV Flight Team will be making an appearance at the upcoming Tuscaloosa Air Show on April 4-5, 2009. The DAV Airshow Outreach Program was developed to increase public awareness of disabled veterans and to serve veterans in communities across the nation. Using B-25 medium bombers, the program reminds the public of the sacrifices veterans have made and continue to make to keep our nation free. The B-25 Bomber enjoys the reputation of achieving the impossible during one of America’s darkest hours in World War II. The medium size bomber was made famous by the daring Doolittle Raid on Tokyo which helped rally America after the bombing of Pearl Harbor. The B-25 went on to become the most versatile bomber of World War II, seeing combat in every theater of operation. “When people both young and old, see the B-25, they are just in awe. While the plane is on display, they get to see the extreme conditions and how tight the quarters were for these boys who flew these into combat and became men. When they see it side by side with other aircraft, they are amazed that just 67 years ago, this was the pinnacle of aviation technology,” said DAV National Commander, Raymond E. Dempsey. Plan now to attend the Tuscaloosa Air Show on April 4-5, 2009 to see the B-25 and the accompanying interactive display geared at providing airshow spectators an attractive, efficient experience where they can learn about the volunteer opportunities available. For more information on the Disabled American Veterans, visit the DAV website at www.dav.org. 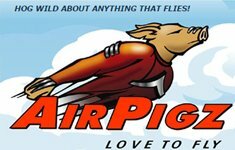 (Dayton, Ohio) Despite the fact that the events often showcase several million dollars of exotic aircraft and the most highly trained pilots in the world, air shows are among the most cost-efficient family entertainment alternatives available today. 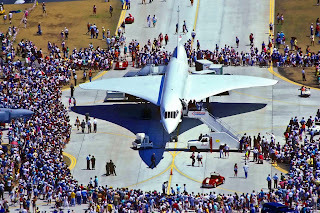 As the North American air show industry begins its 2009 season, it appears that inexpensive tickets andtheir family-friendly nature will attract record numbers of spectators to many of the 400+ air shows scheduled in North America between now and mid-November. The Vectren Dayton Air Show Presented by Kroger, scheduled for July 18th and 19th is hopeful the trend will impact its 2009 Show. The Show offers families a terrific bargain with its Family 4 Pack. The Pack includes 4 show tickets, 4 hot dogs, 4 Pepsis, 1 souvenir program and free General Admission parking for only $64.95, a 40% savings off the full gate price. Along with that, the Board of Trustees decidedto lower the Child/Senior Citizen General Admission ticket by one dollar. The new Child/Senior Ticketwill be $12 in advance and $15 at the gate. This year’s Air Show will be particularly appealing tofamilies interested in a world-class, once-a-year entertainment event that is just a bit more expensivethan going to the movies. point for the aircraft and for EAA's annual fly-in convention. Concorde's first flight over Europe in 1969.
subsonic flights based from Oshkosh. reservations made by contacting kphillip@eaa.org. 1-800-JOIN-EAA (1-800-564-6322) or visit www.eaa.org. Air shows launch 2009 season preparing for record attendance as families seeks low-cost, exciting entertainment. Leesburg, Virginia (March 30, 2009) /PRNewswire/ — With each day delivering more news of economic despair, the air show industry begins its 2009 season this month under a sky of optimism, with all indicators pointing to an attendance surge as families search for low-cost, high-value, local entertainment. Initial reports on spectator attendance at the season's earliest air shows suggest the optimism is well-founded. "The numbers are still coming in, but we think it was the largest attendance in our 29-year history," said Fred Buckingham, chairman of the Florida International Show, held March 21-22 in Punta Gorda. Buckingham estimated 2009 attendance at 65,000, a substantial increase of more than 18 percent over the previous record of 55,000. Fueling the attendance increase are ticket prices that are a fraction of the cost of other entertainment venues, such as amusement parks and professional sporting events. "An air show ticket is closer in price to a movie ticket than to a theme park or baseball game," said Cudahy. "Now, with gasoline prices down and recessionary concerns putting other leisure options on hold, air shows are an increasingly attractive option." Once spectators arrive at air shows, they find a level of entertainment that exceeds what they can get anywhere else, at any price: military demonstration teams such as the U.S. Navy Blue Angels and the U.S. Air Force Thunderbirds, aerobatic performances by the world's most talented pilots, and a collection of museum-quality, vintage aircraft that can only be seen flying at air shows. "What's great about air shows is they showcase all that is good about our country," said Bill Roach, who runs the Wings over Houston Airshow. "They're exciting, patriotic, and educational. The variety of jets, vintage airplanes, parachute acts, sailplanes, and ground acts ensures that there's something of interest for everyone." The Houston show was held in late October. Organizers expected an attendance drop based both on the economy and the effects of Hurricane Ike, which had decimated Texas weeks earlier. Instead, the show saw attendance climb to record levels, a phenomenon reported across the nation, most noticeably in the fall, after news of the economic downturn became particularly grim. Between early April and mid-November, more than 10 million spectators will attend more than 400 air shows from San Diego to New York City to British Columbia to Miami. 30, 2009 12:00 AM Last weekend's air show at Luke Air Force Base surpassed previous attendance records, but the crowds created massive traffic snarls and frustrated visitors. RUSSIAN ROULETTE - The smell of fear will be in the air this season as Russian pilot Sergey Rakhmanin unveils his all-new 350hp MXS-R race plane in Abu Dhabi on 17-18 April. Already revered by his fellow competitors for his considerable flying achievements gained in his pre-racing career, this potentially unstoppable combination of man and machine could see Rakhmanin moving up the ranks in 2009. It may be the first time in more than 20 years that a two-seat Supermarine Spitfire has gone to auction and the current example (once stationed at RAF Lyneham in 1944) is expecting to draw bids of more than $2.1 million, next month. Some estimates put the number of flying two-seat Spits at seven (flying single-seaters may number closer to 60). That, from some 22,000 Spitfires flown between March 1936 and 1957. But this particular aircraft did not begin its life as one of the roughly 20 two-seat Spits originally built; it was born as a Mark IX. Classic Aero Engineering was hired by the aircraft's recent owner, Paul Portelli, to restore the aircraft and transform it into a two-seater. That process took seven years, and outlived Portelli, but met the authenticity requirements demanded by CAA to certify the aircraft as an airworthy genuine Spitfire. As such, the auction's lucky winner can expect to carry an annual insurance policy in the $70,000 range for serial number SM520 and about that much for annual maintenance. Fuel will be extra, provided the buyer has the fortitude (and skill) to risk flying the aircraft at all. The auction will be held by Bonhams' at the RAF Museum in Hendon, April 20. WhiteKnightTwo (WK2, also dubbed "EVE" by Virgin Galactic's Sir Richard Branson), which will serve as the launch vehicle for Virgin Galactic's SpaceShipTwo (SS2), has expanded its flight envelope with a third test flight that took the aircraft to 140 knots and 18,000 feet. The flight also tested engine thrust asymmetry parameters and in-flight engine restarts. Burt Rutan, founder of Scaled Composites, which has been instrumental in the development of the vehicles, believes WK2 will ultimately find niche applications "beyond the initial requirements of Virgin Galactic." Powered by four Pratt & Whitney Canada PW308A engines and slung below a 140-foot carbon composite wing spar, WK2 is designed for a payload capacity of more than 37,000 pounds and a "coast-to-coast" range. Tests to 50,000 feet (SS2's launch altitude) are expected to take place during the next few months. 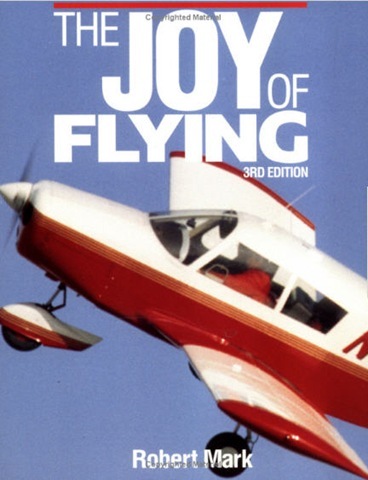 As for the huge aircraft's flight characteristics, pilot Peter Siebold commented that the aircraft "might look unique from the ground" but "it is not strange to fly" and is "in fact a great piloting experience." Rutan believes the capabilities of WK2 will find it work outside of space tourism, as well. Seattle's Aviation High School last week moved another step closer to realization of its goal of finding a permanent home on the campus of the Museum of Flight, with the announcement of a $4 million gift from benefactors James and Sherry Raisbeck. Texas Glider Rally Sailplane pilots from across the USA gather at Marfa Airport near the Davis Mountains in southwest Texas to attempt glider altitude and distance records by soaring in wave and thermal lift. Introductory glider rides and lessons available by appointment. Marfa Airport (MRF), April 4-11, 2009. Snow Buster Fly-In EAA Chapter 43 (Mile High) is hosting the annual Snow buster Fly-In and Pancake breakfast. Erie CO Municipal Airport (KEIK) 7 AM until ?, April 18, 2009. Bad weather date is April 25. Drive-ins welcome. Keesler AFB, Mississippi – The Disabled American Veterans will once again take to the skies to advance its message of service to disabled veterans. Now, in its seventh season, the DAV Airshow Outreach Program featuring the B-25 Mitchell Bomber of World War II notoriety appears nationwide at over 25 air shows and reaches over 2.7 million air show spectators annually in an effort to promote the DAV’s mission of building better lives for America’s disabled veterans. The DAV is proud to announce The DAV Flight Team will be making an appearance at the upcoming Keesler AFB “Thunder on the Bay” on April 4-5, 2009. Plan now to attend the Keesler AFB Air Show “Thunder on the Bay” on April 4-5, 2009 to see the B-25 and the accompanying interactive display geared at providing air show spectators an attractive, efficient experience where they can learn about the volunteer opportunities available. As you may know, the Gulf Coast Salute Air Show this weekend at Tyndall Air Force Base didn't happen like they planned on Saturday, but Sunday was a different story. They're followers of US Navy aviation, and they were out in full force at Naval Air Facility Atsugi, Japan, on Saturday for the installation's Cherry Blossom Festival. Walter Palmer, one of last of a famed World War II group of black fighter pilots, died Saturday. A fully-functioning Second World War Spitfire is up for sale is being offered for £1.5million - £2 million by a private owner. Today In Military/Aviation History 30 March - 5 April from Warbirds Online by Tom Kwiatkowski Sr. It was very obvious from the event that a lot of preparation went on to make this a great way to spend a Sunday afternoon. We took our chairs sat out on the runway and watched in awe as the aircraft were put through their maneuvers all afternoon. 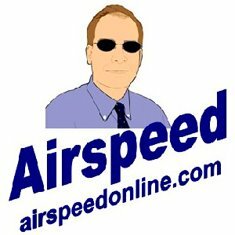 Air Racing: Team Wildfire - can you help? Blue Angels to fly "Home Town Heroes"
B-52 & P-38 Pilots-The P-38 Lightning Flies! B-25H "Barbie III" Returns This Saturday! The Museum of Flight: Women Fly!